Jan Jakub Chromiec is a researcher at the Hertie School of Governance in Berlin. Adam Traczyk is a co-founder and director of the Global.Lab think tank in Warsaw. The weak spot of the Union is not just the right balance between more or less integration. Instead, its future will depend on public support for European values. To understand this claim, consider what would happen if Poland’s current political style became the gold standard across the Union. At the very least, when member states dismantle judicial independence, limit media freedom and stifle non-governmental organisations, the Union loses credibility to conduct value-based foreign policy. A Union of member states dismantling democracy cannot credibly persuade neighbours to strengthen it. 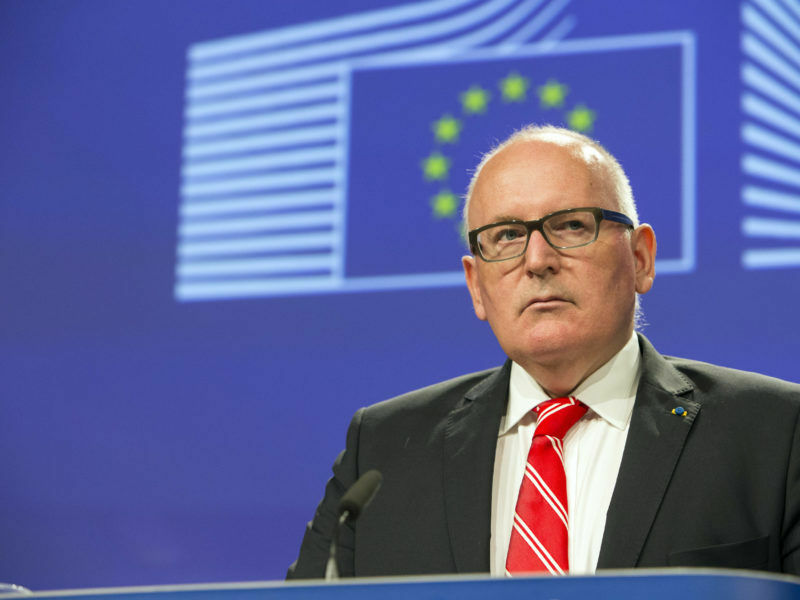 Moreover, when countries stop respecting rulings of the European Court of Justice, as Poland recently did, common policies become worthless since they are no longer independently enforceable. And when it comes to decision-making, imagine the outcome of European Councils where Kaczyńskiesque governments hold a majority. Incantations of “Germany first”, “France first” and other “firsts”, disregard for rule of law, and backtracking on commitments would wreck the European project. In sum, when member states don’t respect European values – pluralistic democracy, rule of law, human rights – the Union as a rules-based system of peaceful conflict resolution among democracies risks breaking down. We can only speculate what kind of animal the EU would become instead, but we know from history that the alternative to rule of law is the rule of strength. That’s why the Polish government should get an award. On one hand, its conduct is a warning shot about the fragility of liberal-democratic institutions. These institutions are no more than pieces of paper converted into political power by public support. Take away this support and you will hold in your hands only pieces of paper. On the other hand, identifying a weak spot means that solutions can be discussed. In this vein, we propose a two-fold approach of promoting European values: through a corrective and a preventive arm. The corrective arm already exists, in the form of Article 7 of the EU Treaty which suspends the voting rights of a member breaching European values and a rule of law framework introducing dialogue before such a penalty is triggered. The flaw of these mechanisms is that they assume member states are persuadable by dialogue. When a country chooses confrontation over dialogue these mechanisms fail. Moreover, Article 7 is a ‘nuclear option’: once triggered, there are no further means of persuasion. For this reason, some suggest punishing Poland by limiting its access to EU funds. This would be a double-edged sword. 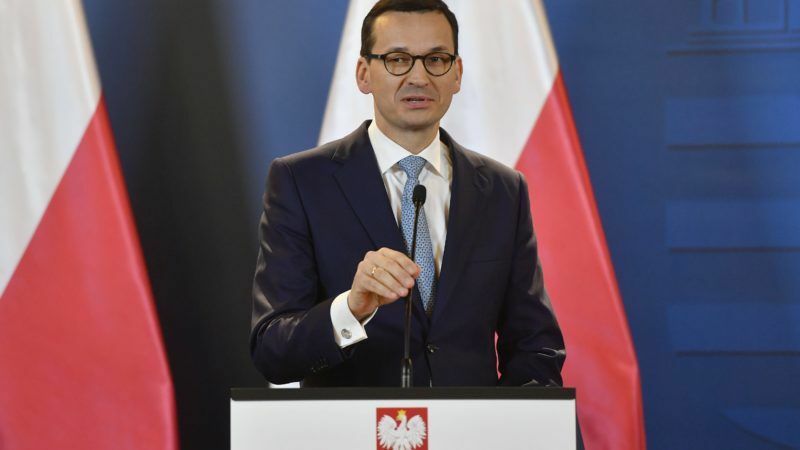 While it would probably reduce the government’s popularity, it would surely hurt the Polish people, for whom EU-friendly sentiment is fuelled in part by structural and agricultural funds from the EU budget. Since correcting violations of European values is so difficult, the Union should invest more in preventing them from happening in the first place. Here is how this could be done. In Poland, civil society in the form of watchdogs, campaign groups, independent media and think tanks is currently the most important promoter of European values. In July, non-governmental organisations carried out protests in roughly 250 cities, forcing the president to veto parts of a controversial judicial reform. However, running such organisations is as hard as it gets. The government has slashed funding for critical NGOs, launched a National Centre for the Development of Civil Society in order to centralise public subsidies, and conducted anti-NGO campaigns in the media. At a time where civil society is needed the most, its ability to operate is limited. The Union already supports value-promoting NGOs in its neighbourhood. A European Instrument for the Promotion of Democracy and Human Rights, for instance, foresees €1.3bn for this purpose. But since democratic institutions are endangered within the EU, we need an instrument directed at member states. This instrument, let’s call it ‘Fund for European Values’, would support NGOs promoting the values enshrined in Article 2 of the EU Treaty: rule of law, human rights and democracy. Funding, at a level similar to the EU’s spending on promoting values in third countries, would be available to organisations in all member states, to underscore that fostering values is important across the Union. Setting up this kind of preventive arm would have three advantages. First, it would balance the harsh language of sanctions with a positive message from Brussels. Secondly, it would contribute to limiting divisions in the EU by signalling that value-promotion is a task for all member states. Finally, and most importantly, it would contribute to strengthening the immune system of European democracies. Ultimately, democracy can only be upheld by people striving and fighting for it. As Friedrich Ebert, the first democratically elected president of Germany put it, democracy needs democrats. The alternative is the prospect that some years from now, the institutions currently securing our freedom and prosperity might be reduced to worthless pieces of paper. And this is why we don’t like you. Citizens elect governments not NGOs. “..liberal democratic institutions..” what a joke! Most are populated by leftwing activists, agitating to regulate mainstream society in accordance with their own barmy ideas but withowt the consent of that society. You hide behind the word ‘democracy’ but you do not represent it and your ‘European Values’ are simply your own. You do not speak for me. How about Greece that will extradite to Turkey the Turkish pilots that have already asylum??? Why Euractiv is silent? Maybe because your political hierarchy does not allow?